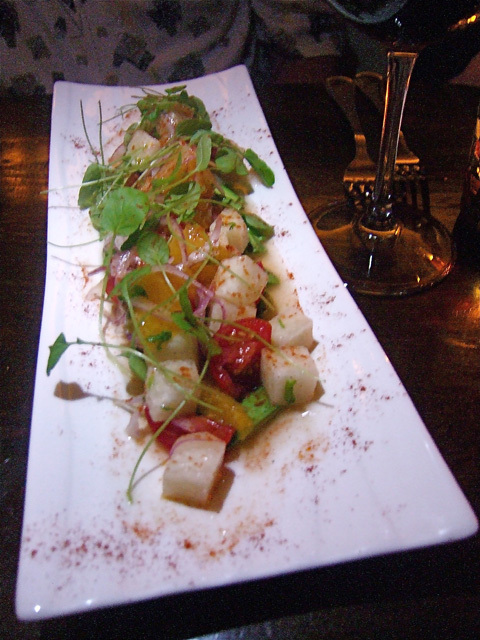 Yerba Beuna’s ensalada is a luscious gathering sprinkled with citrus vinaigrette. Photo: Steven Richter. 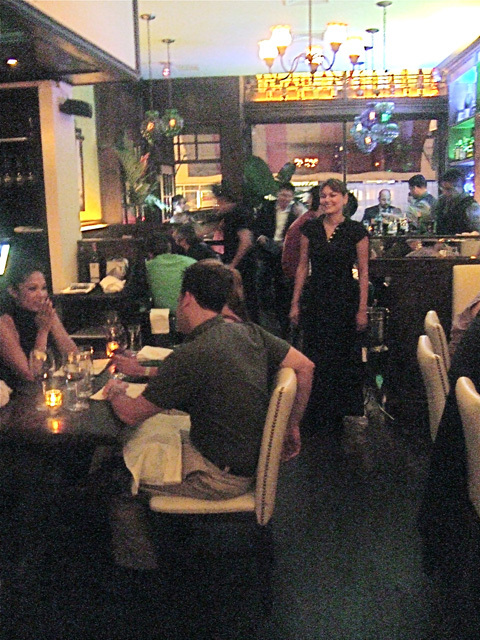 The spiffing up of Avenue A takes a giant leap with the uptown manners and ambition of Yerba Buena. Just hatched, kitchen quickly grooving, it’s already winning regulars. I’ll brave the street’s remnants of grunge for serious cocktails by a professional barman, grown-up impresarios determined to please, and reasonably priced, fabulous Latino food by partner Julian Medina, whose cooking I loved at Toloache. Partner Giovanny Campos has some well seasoned and nicely flirtatious help up front and can be heard hissing and coaching the rookies. I’m a pisco-sour fan and often strike out with amateur bartenders, but I recommend this outsize version in a soup-bowl-size goblet with its froth of organic egg white ($11) by Artemio Vasquez, the house mixologist. Minty yerba leaves stepped for a few hours in Chilean pisco is the secret (I read it in Shaken and Stirred in the Times on Sunday). 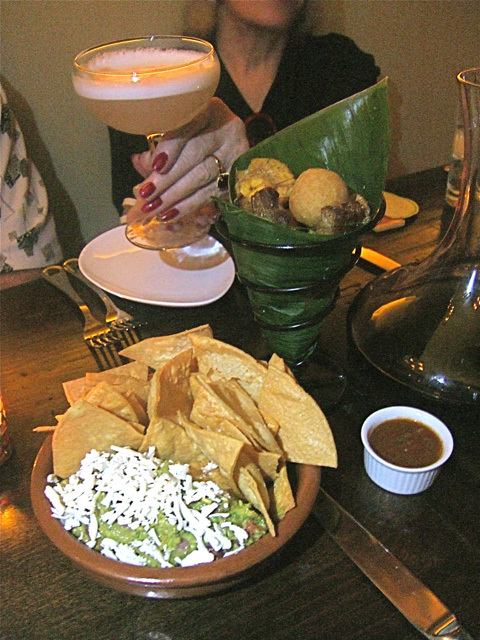 The unabashedly lumpy guacamole ($9) is good enough (my own foolproof recipe calls for onions), the house-made chips are fantastic (though too salty), and we love the picada - a collection the table can share of yucca croquetas, tostones, pork rinds, and chorizo chunks to dip in a spicy sauce. Most everything is fried…how can you not love it? 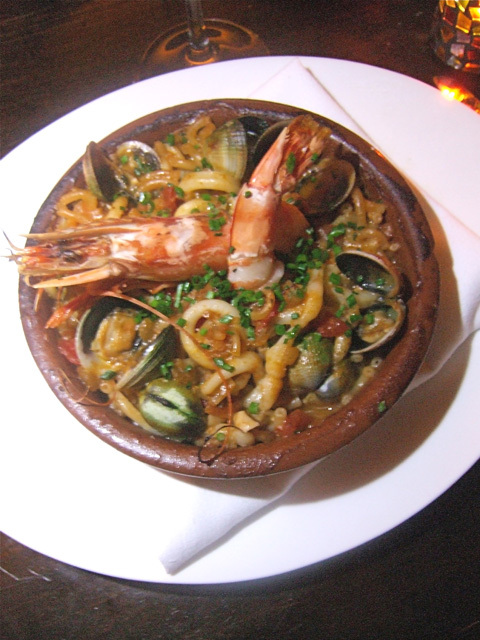 The kitchen sends out marvelous seafood fideua with mini macaroni and chorizo aioli. Photo: Steven Richter. I’m not a churros hound, but the three fanatics I travel with are dipping them first in melted chocolate, then dulce de leche salsa and devouring them. Our friend, a spirits writer, is thrilled to see Alcyone on the wine list, a Uruguayan dessert wine she loves. “It tastes like s’mores,” she says offering a dark and syrupy sip to each of us.